When Inge Maria arrives on the tiny island of Bornholm in Denmark to live with her grandmother, she’s not sure what to expect. Her grandmother is stern, the people on the island are strange, and children are not allowed to run wild or express themselves the way they did back in Copenhagen - especially if you are a girl. 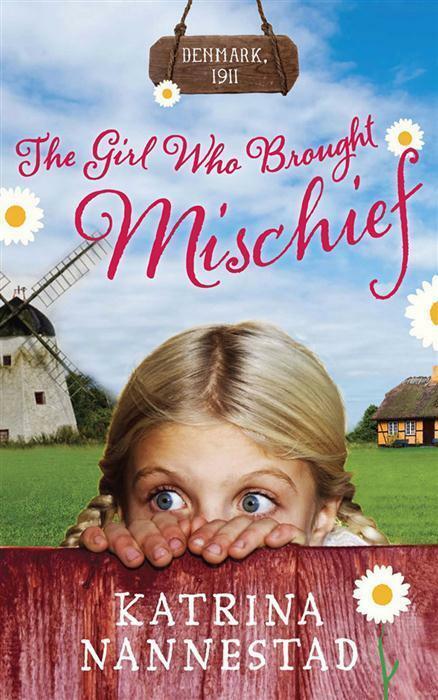 But could it be that a bit of mischief is exactly what Grandmother and the people of Bornholm need? This is a little heartbreaker of a story. Think Pollyanna meets Anne of Green Gables with a dash of Heidi. It’s set in Denmark in 1911, so younger readers may need a bit of context to start with, mainly with regard to the treatment of girls and children (for example, disciplinary measures and the freedom to roam), but the beautiful messages of the book need no further explanation. Ten-year-old Inge Maria has been recently orphaned and travels to the tiny island of Bornholm to live with her grandmother. Only Inge and the reader know what grief she carries inside after the loss of her mother, and this aspect of her childhood is tenderly explored. Inge is brave and bold, and she navigates life with good intentions and optimism. Yet, as much as she might long to be ‘good’, she’s also a magnet for mishaps. She simply can’t sit still or hold her tongue. So when it comes to certain school rules, such as boys and girls made to play on separate sides of the schoolyard, Inge takes drastic action. Her antics bring the whole island to life, while her compassion finds her many friends, both animal and human. A joy to read with ages 7 and up. Emily Gale is a Children’s & YA Specialist at Readings Carlton, and a Children’s & YA writer the rest of the time.